It’s a damning review from the Which?’s Big Change survey. One of the many reasons I chose to become an Independent IFA – no sales targets and my mantra is “service, service, service”. In the past I have worked within large institutions, although not the banks, and the importance of “sell at any cost” was a common practice. I have known many where their role was to sell and felt it was their choice (the client) to trust them and so what was purchased was solely their decision. If your very livelihood is dependent on “sell at any cost” and there is an environment of targets and not service, and this is the “norm” and acceptable, then many will and have been manipulated. The Which? investigation suggests pressure on bank staff to sell financial products has not reduced, despite demands for change from regulators and politicians. 41% say they thought there had been a decrease in the incentives available. Which? 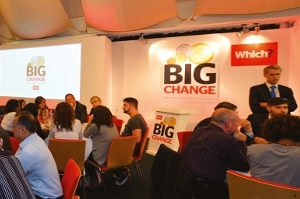 is calling on all the banks to refocus their incentive schemes on customer service. Staff were interviewed from HSBC, Royal Bank of Scotland, Lloyds Banking Group, Barclays and Santander. Which? is handing in a dossier of evidence to the Parliamentary Commission on Banking Standards. The dossier includes the bank staff survey, consumer views and previous research on the banking industry. This is in addition to 120,000 signatures from the general public pledging their support for ‘Big Change’ in banking with Which? and 38 Degrees. Which? chief executive Peter Vicary-Smith says: “We are calling on the banks to be much more transparent about their sales targets and incentives. A stock-picking approach is vital during these times and a strong stockpicking discipline is possibly the best way for investors to ensure their money survives the current recessionary environment. Many industry commentators have suggested that a combination of low-interest rates and low growth is a nightmare for managers who take a bottom-up approach. Maybe more so than ever, investors need to become students of the political scene as much as the macro-economic environment. You, as investors, more than ever need to focus on a company’s fundamentals. We are clearly in unprecedented times, The Bank of England interest rate has been at 0.5% for over two years (the lowest ever in history). This is not the time to be aggressively taking on risk, I believe we have to stay defensive, and the way we do that is by being very selective about which holdings, sectors and niche markets we pick. Although, we also need to remember when to break this rule as there are opportunities – suitable asset combining is essential to manage the potential for success with a capital preservation overtone. Stockpicking has been a style that can prosper even in the most difficult markets. We are almost there !!! I expect within a few days my website will be up and available. The official corporate Financial Services site for Welshmoneywiz is Waverley Court Consulting Ltd.
You have to give George Osborne his dues…we all knew there were failings in the assumptions from the Summer Budget. He didn’t duck the bullet. 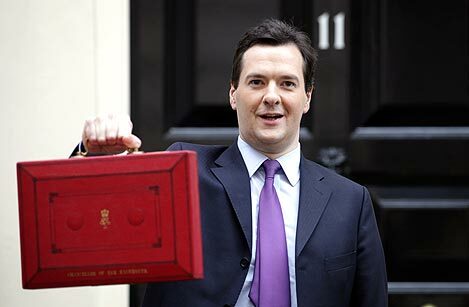 Rather than just guidelines and review of the Summer Budget (normally what seems to be the Autumn Budget), it was more an introduction to the Spring Budget 2013, giving details of some of the fiscal changes ahead. A benefit of knowing about tax policy to be introduced from a future date is, it gives us a chance to plan now. George Osborne made proposals to cut back on the tax advantages of registered pensions. • Annual allowance to be reduced from £50,000 to £40,000 from tax year 2014/15. accrual/contributions on or after 6 April 2014. £1.25 million on 5 April 2014. • Maximum capped drawdown income to be increased from 100% to 120% of the relevant annuity rate determined from the GAD tables – date to be confirmed. The reduction in the annual allowance was expected and was only to £40,000 (it could have been worse). The reduction doesn’t apply until tax year 2014/15. Carry Forward of unused annual allowance of up to £50,000 for each of tax years 2010/11, 2011/12, 2012/13 and 2013/14, is available. It gives a high earners the chance to maximise contributions before the reduction in the allowance bites. Also, for very high earners, if action is taken before the end of this tax year, they may be able to secure the 50% tax relief. Electing for fixed protection and/or, if available, personalised protection. Considering drawing some or all of their benefits in 2012/13 or 2013/14 when these will be set against the current £1.5 million lifetime allowance. Consider how benefits are taken. So, it seems fair to say, there is actually only a very small change in the potential tax bill payable. Personal allowance has increased and the basic rate band has shrunk. The unlucky few are worse off but in most cases the situation seems to either be neutral or possibly a slight improvement. The personal allowance is to increase by £1,335 to £9,440 in 2013/14 – an improvement in the terms announced in the Summer Budget. In 2013/14, the basic rate tax limit will reduce from £34,370 to £32,010. This is offset by the increased personal allowance. The result of these changes is that all taxpayers who are fully entitled to a personal allowance (where net income is less than £100,000) will be better off. At the lower end, the extra increase in the personal allowance will lift a quarter of a million people out of tax altogether. From 6 April 2013, additional rate income tax will reduce from 50% to 45%. This rate applies for those who have taxable income of more than £150,000. For those affected, there is an incentive to make investments before 6 April 2013 and defer the resultant income until after that time. • There is an incentive for lower rate taxpayers to make increased contributions to registered pension plans with a view to ensuring that any resulting pension income falls within the personal allowance. As the personal allowance increases, the age allowance is gradually being phased out. The amounts of age allowance are frozen at £10,500 for those born between 6 April 1938 and 5 April 1948 and £10,660 for those born before 6 April 1938. For those who satisfy the age conditions, the age allowance is still currently worth more than the personal allowance. However, the allowance is cut back by £1 for each £2 of income that exceeds the income limit. The income limit will increase from £25,400 to £26,100 in 2013/14. For those who are caught in this income trap, you should take appropriate planning i.e. reinvesting income-producing investments into tax-free investments (ISAs, VCTs, EISs, SEISs) or possibly tax-deferred investments (single premium bonds) or by implementing independent taxation strategies. The Government will reduce the main rate of corporation tax by an additional 1% in April 2014 to 21% in April 2014. The small profits rate of corporation tax for companies with profits of less than £300,000 will remain at 20%. The capital allowance known as the Annual Investment Allowance will increase from £25,000 to £250,000 for qualifying investments in plant and machinery for two years from 1 January 2013. This is designed to encourage and incentivise business investment in plant and machinery, particularly among SMEs. Eligible self-employed individuals and partnerships to calculate their profits on the basis of the cash that passes through their business. Businesses with receipts of up to £77,000 will be eligible and will be able to use the cash basis until receipts reach £154,000. They will generally not have to distinguish between revenue and capital expenditure. As expected the Government unveiled a bundle of measures aimed at countering tax avoidance and tax evasion. • Closing down with immediate effect for loopholes associated with tax avoidance schemes. • Conducting a review of offshore employment intermediaries being used to avoid tax and NICs. An update on this work will be provided in the Budget 2013. • From 6 April 2013 the Government will cap all previously unlimited personal income tax reliefs at the greater of £50,000 and 25 per cent of an individual’s income. Charitable reliefs will be exempt from this cap as will tax-relievable investments that are already subject to a cap. The inheritance Nil Rate Threshold is to increase, although by only 1% in 2015/2016 to £329,000. Currently, the Nil Rate Threshold is £325,000 and has been frozen since 2009 until 2015. This means, from 6 April 2015, if the first of a married couple to die does not use any of his/her nil rate band, then the survivor will have a total nil rate band (including the transferable nil rate band) of £658,000. We await the outcome of the consultation on the taxation of discretionary trusts which is due to be released in December. Hopefully this will incorporate some simplification to the current complex system. The CGT Annual Exemption (£10,600 in 2012/2013) will increase to £11,000 in 2014/2015 and £11,100 in 2015/2016. We do not know what it will be in 2013/14. Gains that exceed the annual exempt amount in a tax year will continue to be subject to CGT at 18% and/or 28% depending on the taxpayer’s level of taxable income. Trustees pay a flat rate of 28% on gains that exceed their annual exemption. The current maximum investment in an ISA is £11,280 in a tax year (maximum of £5,640 in cash). With effect from the tax year 2013/2014, the maximum will increase to £11,520 (with the cash content not to exceed £5,760). Use of the allowance should always be maximised as any unused allowance cannot be carried forward. The Junior Isa and Child Trust Fund maximum annual contribution limit will move from £3,600 to £3,720 from 6 April 2013. The Government will consult on expanding the list of Qualifying Investments for stocks and shares ISAs to include shares traded on small and medium enterprises (SMEs) equity markets such as the Alternative Investment Market and comparable markets. This could lead to ISAs becoming even more appealing as a tax shelter. The rule changes, mostly approved months ago, revolved mainly around opening up more companies for investment from VCTs and EIS, and increasing how much can be invested. The size of companies that the schemes can invest in has been increased from £7 million to £15 million and the number of employees from 50 to 250. 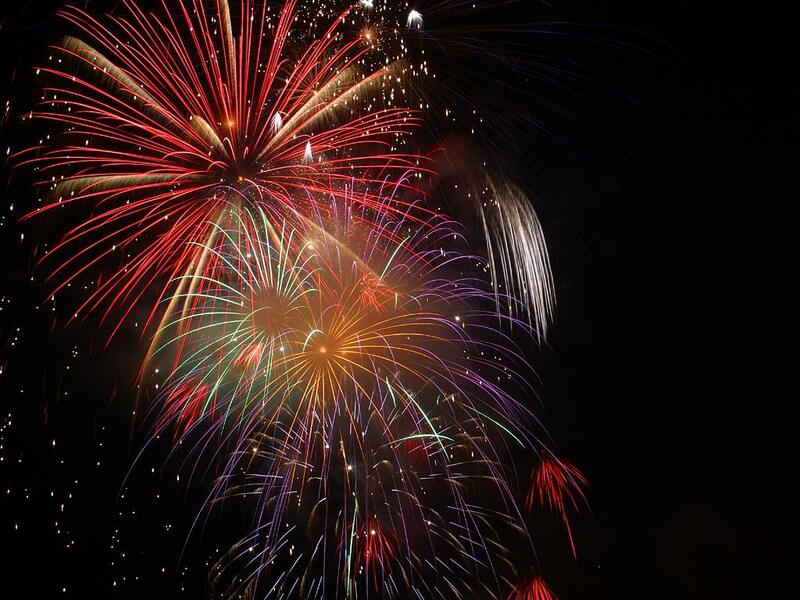 The limit on the amount an individual can invest in an EIS has increased from £500,000 to £1 million, while the amount an EIS or VCT can invest in an individual company has increased to £5 million. Ian Sayers, director general of the Association of Investment Companies (AIC), commented, ‘The proposed rule changes allow VCTs to invest in a wider range of companies which is a welcome boost to the sector and businesses desperately seeking finance. However, the Budget also finalised plans to subject VCTs and EIS to further scrutiny in relation to the investments that they make. The government will introduce a ‘disqualifying purpose test’, designed to exclude VCTs or EIS that do not invest in qualifying companies and are set up solely for the purpose of giving investors tax relief. Although the schemes escaped any changes to their individual tax benefits, the Budget introduced a cap on tax relief, in an effort to prevent high income taxpayers getting away with very low tax rates. The new rules will set a cap of 25% of income on anyone seeking tax relief of over £50,000 but, while the proposals are not particularly clear, it appears EIS and VCTs will be exempt. So where do we start, there is always a “silver-lining” – not all the data was bad. There again even though the concerns over the Eurozone are real and serious, growth figures from many developing economies are declining, and many other problems. These are all known and expected, what more they are less worse than earlier in 2012. What does this mean in English? The likelihood of a doomsday scenario is less likely. There is more support for the argument, “we are struggling our way through”. What this means to me, the markets will remain volatile and economies will drop in and out of subdued technical recessions – this is an opportunity for the professional investor. Moody’s has cut the AAA rating of the European Stability Mechanism (ESM) euro rescue fund by one notch to Aa1 and given it a negative outlook. This follows a downgrade earlier this month of key ESM-backer France. The largest backer of the two schemes, Germany, remains at the top-level of Aaa. The European Stability Mechanism (ESM) was launched in October as a permanent agency, based in Luxembourg. From 2014 it will have up to 500 Billion Euros to help countries in difficulty. The rescue fund is available to the 17 Eurozone countries, but loans will only be granted under strict conditions, demanding that countries in trouble undertake budget reforms. Canada’s slowdown was in part due to weakening activity in its oil and gas sector. A string of major economies have reported disappointing data. Economic growth slowed in India in the third quarter, while in Canada and Brazil it dropped surprisingly sharply. Meanwhile in the Eurozone, unemployment hit a new high of 11.7% in October, as German retail sales fell unexpectedly and French consumer spending dropped. In the US, citizens saw their incomes stagnate in October, while spending fell slightly (in part due to disruption from Storm Sandy). The department’s Bureau for Economic Analysis, which compiled the report, said that much of the underlying data was not yet available, and the drop in spending largely reflected its own estimates of the likely loss of business due to Storm Sandy. Other recent data from the US has pointed to a strong rebound in the world’s biggest economy, including a surprise upward revision of the country’s third quarter annualised growth rate from 2% to 2.7%. In contrast, Canada’s economy fared far worse over the summer with a sudden drop in the country’s exports and weakening activity in its oil and gas sector pulled its’ annualised growth rate in the Third Quarter to 0.6% (many economists had previously announced expectations around 0.9%). Similarly, Brazil’s growth rate for the Third Quarter was 0.6% (In 2010, growth was 7.5%); and previously, the market estimates were nearer 1.2%. India’s growth rate was 5.3% for the third quarter and was as expected. They have clearly hit a soft patch in the last 18 months. The picture remains bleak. European Central Bank president Mario Draghi said on Friday that the region would not exit its crisis until the latter half of next year, although he conceded that the ECB’s recent monetary interventions had helped put an end to the months of financial market stress experienced up until the summer. We seem to be in a two-speed Europe. The southern European economies of Italy and Spain have been in recession all year, thanks to government spending cuts, troubled banks that have been cutting back their lending, and in Spain’s case a steadily deflating property bubble. It seems unemployment has continued to rise in both countries, while in Germany the jobless rate held steady close to a record low. Major UK banks may need to raise more capital as protection against possible future losses, as reported by the Bank of England’s Financial Policy Committee. 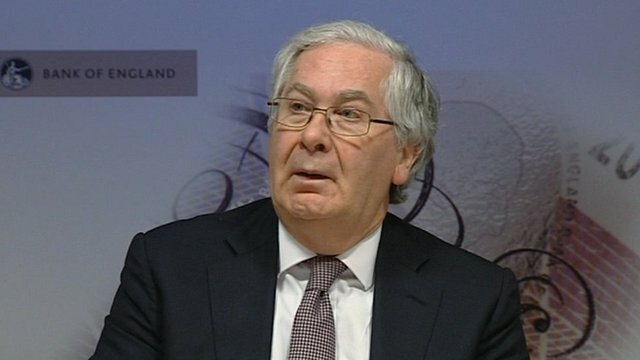 Bank governor Sir Mervyn King said there were “good reasons” to think current capital ratios did not give an accurate picture of financial health. The report suggested that the ‘Big Four’ UK banks need £5bn-£35bn of new capital. The main UK banks include HSBC, Barclays, Royal Bank of Scotland and Lloyds. Future credit losses may be understated. Costs arising from past failures of conduct may not be fully recognised. Risk weights used by banks in calculating their capital ratios may be too optimistic. Sir Mervyn added: “The problem is manageable, and is already understood at least in part by markets. But it does warrant immediate attention…..Mis-selling costs, inadequately capitalised banks hold back economic recovery and undermine investor confidence”. The Bank is being granted greater regulatory oversight over banks from next year when it takes over the Financial Services Authority. One of its primary roles will be to make sure UK banks have sufficient capital to support the economy. The US economy grew at an annualised rate of 2.7% in the third quarter of the year, revised data has suggested. The figure is significantly higher than the 2% initial estimate that the Commerce Department released just before the presidential election. Much of the growth was due to companies rebuilding their inventories, and is not expected to be sustained. Normally, periods of recovery in the US economy are led by residential construction, as building firms quickly get back to work on a backlog of projects as soon as the recession is over. But this time round, the recession was in large part caused by the bursting of a housing market bubble, that left behind a glut of unsold homes, bankrupted many homebuilding firms, and saw the sharpest and most sustained collapse in homebuilding activity in recorded US history. Who can drive the Global Recovery? In the aftermath of the global financial crisis, countries like Germany, China and Brazil were the engines that kept the global economy expanding, but recent evidence suggests that they are losing steam. The World Bank expects a soft recovery, with global growth of 2.5%. But within that there appears to be a clear divide between developing economies, which are forecast to grow by 5.3%, and advanced economies by just 1.4%. Is China’s economy heading for a crash? Of the major developing economies, only China appears to have recovered from a worrying slowdown before the summer, with a string of positive economic data announced just ahead of the country’s decennial leadership transition earlier this month. China’s economic growth has slowed for six quarters and the period of rapid economic growth may be over. China’s export model may no longer be working as well. The Chinese government and many economists are now expecting growth to slip below 8% this year, with some even predicting doomsday scenarios of a crash. So what are the prospects for China’s economy? China is not only the world’s second-largest economy and leading exporter, it is also the world’s largest construction site. Construction has come to dominate China’s economy, accounting for roughly 25% of all activity and about 15% of all jobs. Most analysts take comfort from the fact that there are no sub-prime mortgages or complex financial derivatives in China. Japan is still recovering from last year’s devastating tsunami and nuclear crisis. Recent data have shown that Japan, one of the world’s top exporters, was not exporting as much as it used to. In fact it has been massively importing – including energy, which has pushed the country’s energy bills sky-high after Tokyo stopped nuclear reactors. The strong yen has also hurt exporters, making their products more expensive to foreign buyers. The Bank of Japan forecast the economy would grow 2.2% in the current fiscal year and 1.7% the following year. The rosy growth projections were enough for the central bank to hold off on further easing to boost the economy. “Japan’s economic activity has started picking up moderately as domestic demand remains firm mainly supported by reconstruction-related demand” following last year’s natural disasters, the Bank of Japan has said.